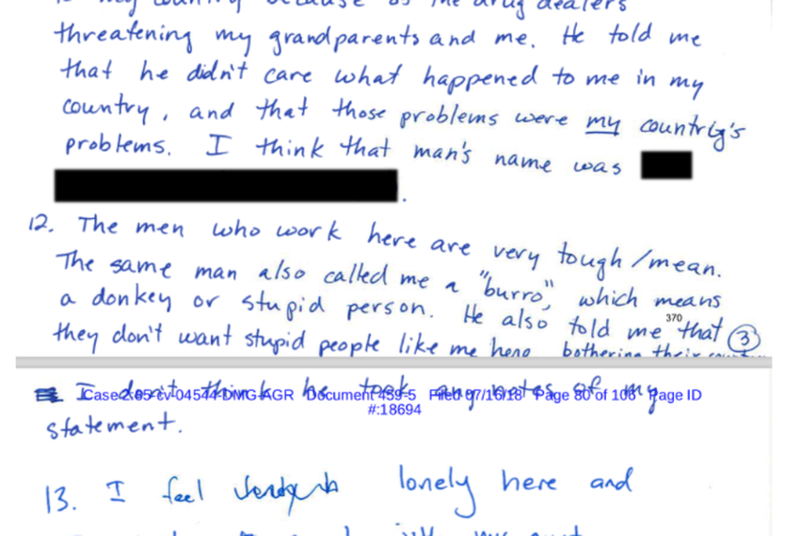 In court filings, more than 200 migrants describe long waits for medical care, minimal access to legal services, verbal abuse from guards and untreated diaper rashes. 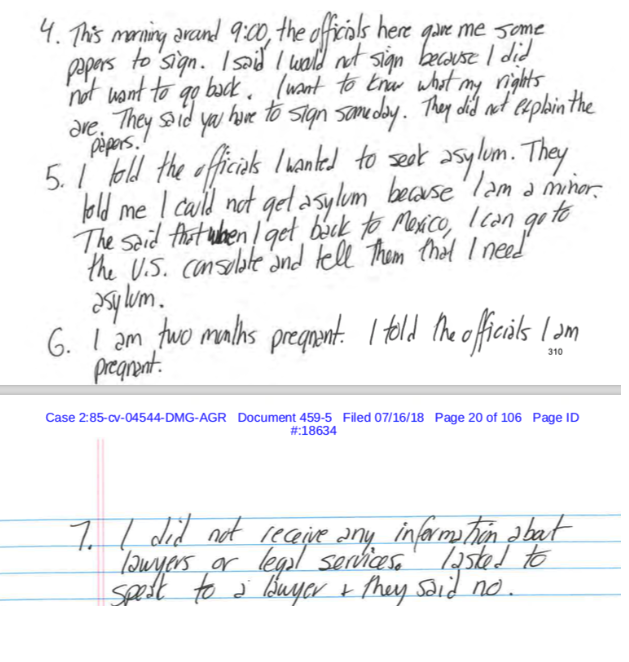 In more than 1,000 pages of new court declarations from children and adults in federal custody, several hundred migrants who crossed the border seeking asylum describe long waits for medical care, outbreaks of chicken pox and untreated diaper rashes. The documents detail minimal access to legal services, with obstacles like language barriers and migrants' confusion about their own rights. 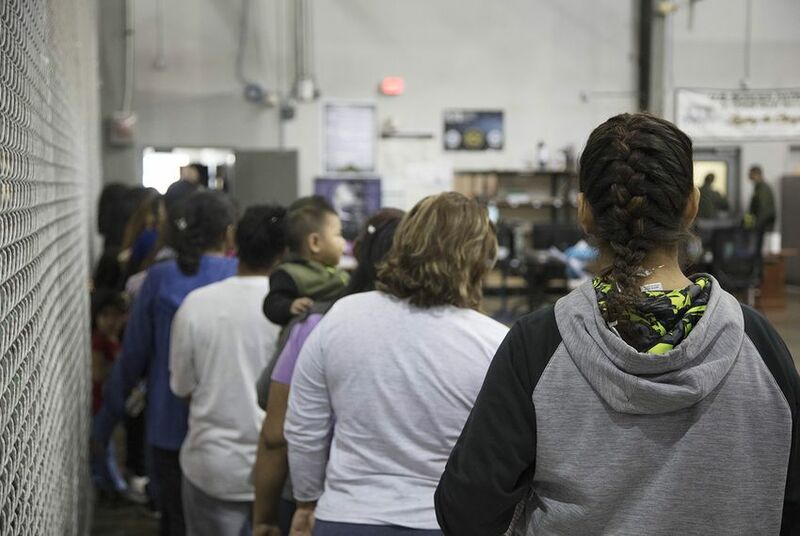 Some migrants say they are told they aren’t welcome in the United States; others are told it doesn’t matter what they try, they’ll be deported in a matter of days. Denia M., a 20-year-old mother from Honduras, crossed the border with her 1-year-old daughter, Zoe. She said she fled after gangs killed her husband and burned down their store in Atlantida; they fled so quickly she said she would miss her husband’s funeral. 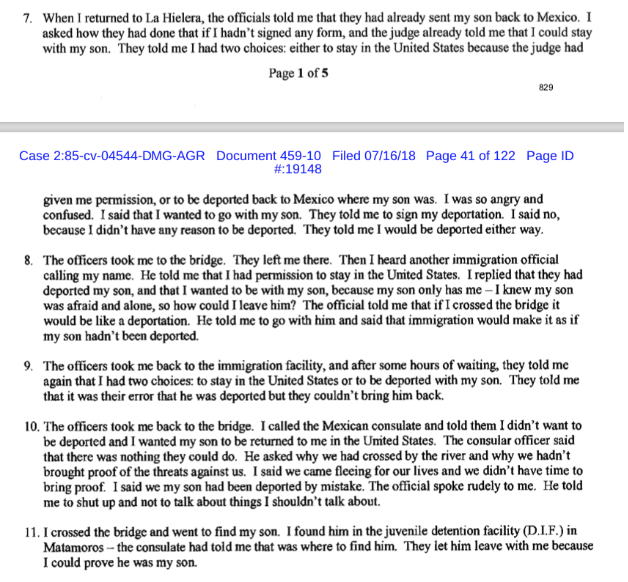 In detention, her infant daughter got sick and began having diarrhea, but Denia said “I don’t want to ask for a doctor because I am afraid the officials will retaliate and hurt my case if I do."